A storm inside a glass has begun between Albania and Kosovo. It appears that relations between the two countries are being shaken. The spark started from top to bottom; while the top leaders of both countries were involved in such a dispute…prime ministers, presidents, speakers of parliament and Foreign Affairs ministers. Meanwhile the two countries are seriously suffering. The Albanian State cannot come out of the transitional democracy chaos and embrace an effective state of law. 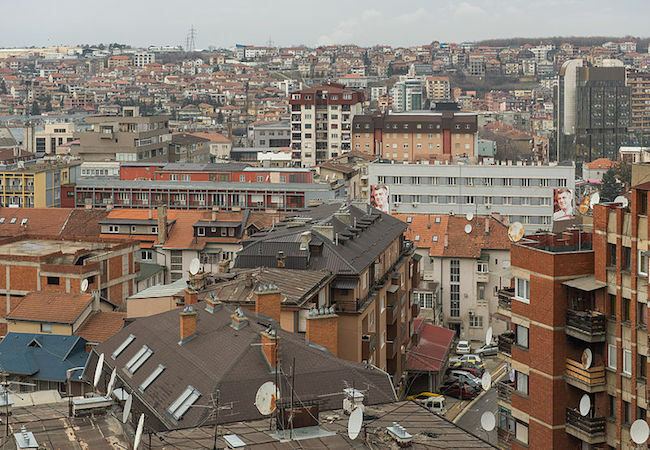 The State of Kosovo is suffering from a number of nation building dilemmas. Both countries are far away from fully embracing the principles of rule of law, human rights, good governance and free market economy. Both nations, as it is defined by Esat Stavaleci – a distinguished academician – are characterized by INCOMPETENCE. In the meantime both nations are exhausted from economic poverty, social injustice, and unemployment, permanent wounds from lack of education and public health service and destruction of environment. This is why thousands of hemorrhages are characterizing the socio-economic life of both countries. After the immigration from the Middle East and Northern Africa Albanians from both sides of the Albanian-Albanian border are the second largest immigrating nations. While the Arabs and northern Africans are escaping from the war tragedies caused by Bashar al-Assad and ISIS, Albanians are escaping from a wide epidemic of corrupt and criminal governments that are ruling their countries. The agendas of citizens and politicians are way apart from each other. In other words, the Albanian peoples on both states, Albania and Kosovo are united through the suffering economic problems inflicted upon them and are divided from the leaderships that are corroded by protagonist attitude, egoism, narcissism and by political, geopolitical and economic interest groups. Meanwhile as the people on both sides of the border are united, their respective leaderships are divided, respective diplomacies are divided, while their bosses more or less mediocre are doing nothing to re-establish the bridges of dialogue, communication and permanent negotiations among the two governments, among leaders and diplomatic establishments, among their respective public policies and public diplomacy. There is a huge difference between the two countries’ diplomacies, Albania and Kosovo. Tirana’s diplomacy suffers from Down syndrome, it has a very little action and inexistent work ethic, Albanian Ministry of Foreign Affairs suffers from a total selfishness of representing a NATO member country and a candidate member to European Union, moreover it is overwhelmed by Tirana’s daily politics. The diplomacy of Kosovo suffers from the syndrome of mediocrity, stubbornness, self satisfaction and an euphoria caused from being an independent nation and heavily supported by western nations. Both parties are deeply mistaken. The biggest paradox is in the fact that both governments have SIX MINISTRIES OF FOREIGN AFFAIRS …more than any other country in the world, more than any other country in the history of humanity. Meanwhile the level of communication-information and permanent negotiations is extremely poor and very little. In front of this situation it makes you cry and smile at the same time: little countries of large diplomacies; countries of great diplomacies without a substantial impact. Such a situation among both countries reflects a visible asymmetry: an Albanian people united more than ever before at its base with a divided leadership without taking into account any common strategy in the long run among them, at the top; not even a public rhetoric, interviews with schematic thesis and even self made photos in coffee shops cannot hide their divisive actions and attitudes. Thank God that our traditional enemies and young competitors in the South, North and East are economically weaker than ever before, otherwise the history would be repeating itself against the Albanian nation. However on a wider spectrum geopolitical situations appear to be very inflamed. The fires of crisis and wars are surrounding the Balkans; their dust is roving over this region. The ghosts of Tsar Peter the Great and Joseph Stalin together with the images of Franklin Roosevelt, Winston Churchill, Jean Monnet and Robert Schuman are coexisting among the boiling temperaments of the Balkans’ leadership; it is also unclear on what will be the fate of the great world powers. For the two Balkan states it is unnecessary to create a “storm in a glass.” For both Albanian Societies there is no need to have the interference of opinion makers and ‘entertaining’ commentators who strive to get as many as possible CLICKS and COMMERCIAL digital and printed media space. As a result Albania and Kosovo are not divided in order to disturb the healthy conscience, lucid minds and honest spirits of Albanians anywhere in the world. At the same time they are not even territorially united in order to create a grave concern and cause unnecessary fear among the other competitors of the Balkans or the Eurasian actors. Time is in the favor of Albanians. Are the Albanian leaderships, on both sides of the border, capable to rise up to this occasion, be aware and willing to understand such an era and pursue a mutually beneficial path that is occurring in today’s world trends?